I will write your Article and Blog Post. I am a professional SEO Friendly Article writer and professionally trained by the very best Fiverr super seller trainer. So, I can do it Professionally. Hi, welcome to my Profile. I am a freelancer. I am an article and content writer based in Pakistan. I am writing a professional blog and article writing. I have M.Phil Finance Degree...Read moreHi, welcome to my Profile. I am a freelancer. 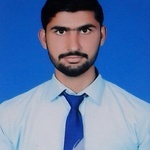 I am an article and content writer based in Pakistan. I am writing a professional blog and article writing. I have M.Phil Finance Degree and continuing study in P.H.D Finance From University Technology Malaysia. I have a strong grip in Article, Research Paper, Thesis and blog Writing. I am writing a professional blog and article. I offered my services all kind following are.